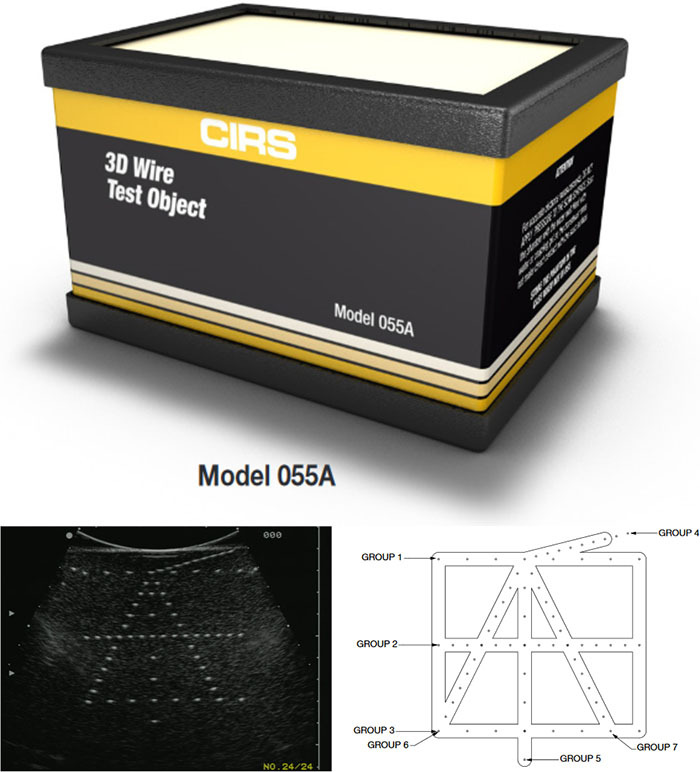 The CIRS Model 055 3D Ultrasound Calibration Phantom and 055A 3D Wire Test Object, may be used to perform the following tests of the accuracy of spatial measurements, which is especially for 3-D and 4-D ultrasound systems equipped with spatial encoding algorithms. In the Model 055, these tests are performed with the aid of three volumetric targets, while in the Model 055A they are performed using wire targets. The test methodology is described in the AIUM publication "Standard Methods for Calibration of 2-Dimensional and 3-Dimensional Spatial Measurement Capabilities of Pulse Echo Ultrasound Imaging Systems," which is provided with the phantoms. The phantoms may be purchased separately or as part of a set, and may also be used to perform Image uniformity and depth of penetration tests. Both phantoms are made of CIRS, proprietary Zerdine® hydrogel polymer, which has been formulated to provide tissue mimicking properties including compatibility with harmonic imaging. To maximize phantom lifetime, this gel is contained in a rugged ABS plastic housing with a Saran-based laminate membrane. 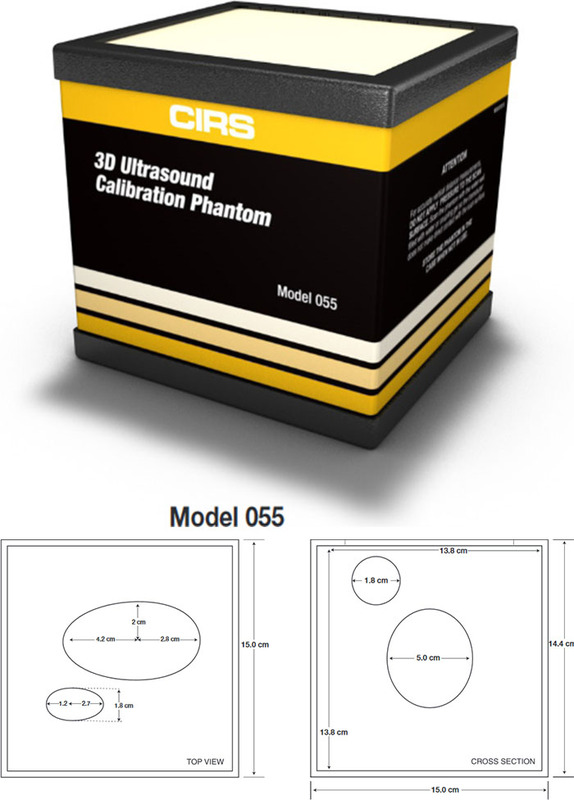 CIRS ultrasound QA phantoms come standard with a robust housing, carry case, 48-month warranty, and user guide.